i would had hoped that this post would have included an account of Owner and my planned holiday to Denmark, but unfortunately the holiday did not happen. Two days before we were due to travel my back went big time, to the point where i was physically unable to move. It was the worst it has been in almost 5 years. We had to cancel everything as just getting out of the bedroom was a struggle, let alone travelling to Denmark. So instead of two weeks on holiday, Owner spent an extra two weeks at work and a month looking after me - which She did a fantastic job of. The good news is that i am now much better than i was. I can walk normally again and can sit down now too - you forget how useful it is to be able to do this! The bad news, however, is that Owner has injured Herself (a torn arm muscle) - which in turn has meant She has not been sleeping and thus not feeling well. This coupled with Her also having very bad period migraines this month has meant that our flat has become more of an infirmary than a den of sexual deviance and submission of late! 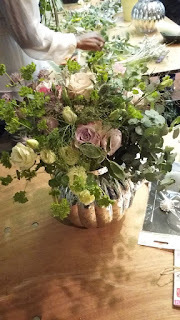 However, one sign that my own recovery is well on the way was that yesterday i was able to attend a half day vintage flower arranging class that i had booked a few months ago. Owner had asked me to attend it as part of my development as Her wife, flower arranging being a skill She wants me to acquire. 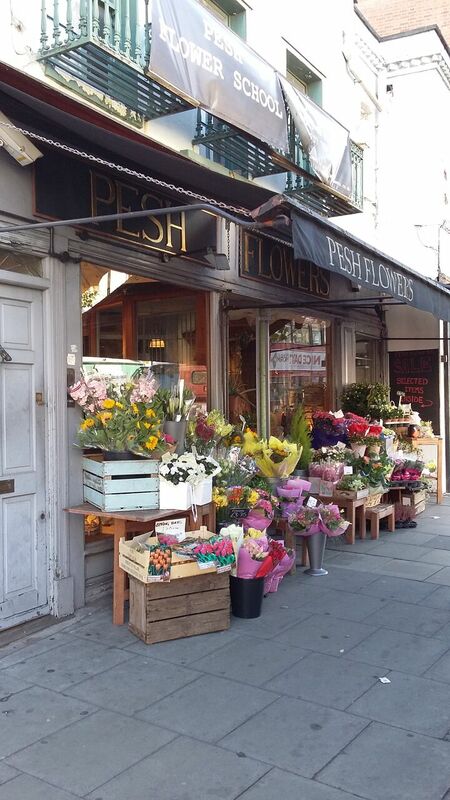 The class was held at a lovely South London florists called Pesh Flowers. 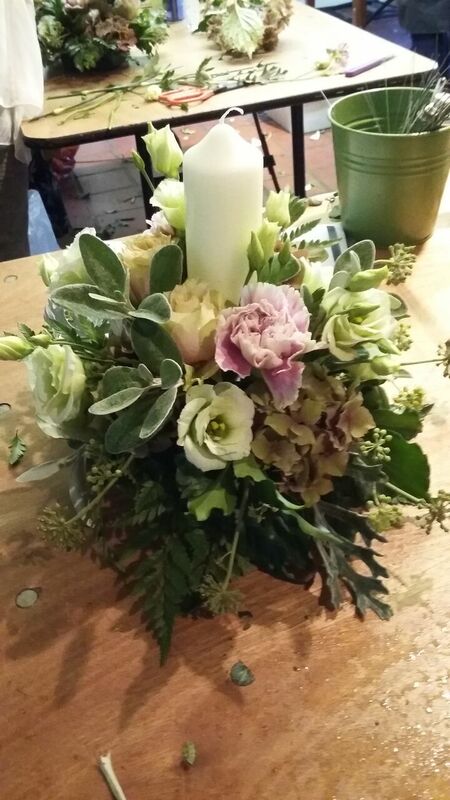 i had a wonderful time and managed to create the following two arrangements which i was very proud of and the tutor seemed to like too - Owner was delighted with them. What do you think? Both arrangements are now brightening up our flat/hospital. Owner and i are hoping we might both be OK to go on holiday in early November instead. i hope so.